Fall is fast approaching here in southern California with two straight days of rain and gloom last week, but for the most part it’s still endless summer, and so after a long day at work, a crisp refreshing drink can sometimes be the perfect pick-me-up. Having some leftover Persian cucumbers from the halloumi cheese toast, we made this great drink based from Martha Stewart’s recipe. We used the lemon instead of lime (since that’s all we had) and Persian cucumbers since these are seedless and have a sweeter taste then regular cucumbers. Peel cucumbers and cut into small 1-2 inch pieces. No need to remove any seeds if you’re using Persian cucumbers. In blender add cucumbers, water, sugar, lemon juice, salt and ice. Blend until smooth. Taste and adjust with additional sugar or lemon. Serve atop additional ice. This is a great base recipe. 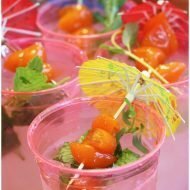 Add mint and white rum (about half a shot per glass) to make a cucumber mojito. 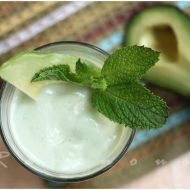 There is a little bit of froth with the cucumber which we find delicious, but you can even strain it if you don’t like that. This is a great drink. I never had it as a mojito, but one of my favorite coffee houses serves the cucumber lemonade and it's my favorite drink! smokeydoke: it's amazing how refreshing and interesting the cucumber flavor adds to the lemonade! I have never heard of this and my first reaction was horror! But it would be so cool and refreshing I look forward to trying it! divine: Try it the next time you make lemonade for a great twist! joy: It does seem weird,but cucumbers are 95% water and has a great refreshing twist to lemonade..you'll be surprised! 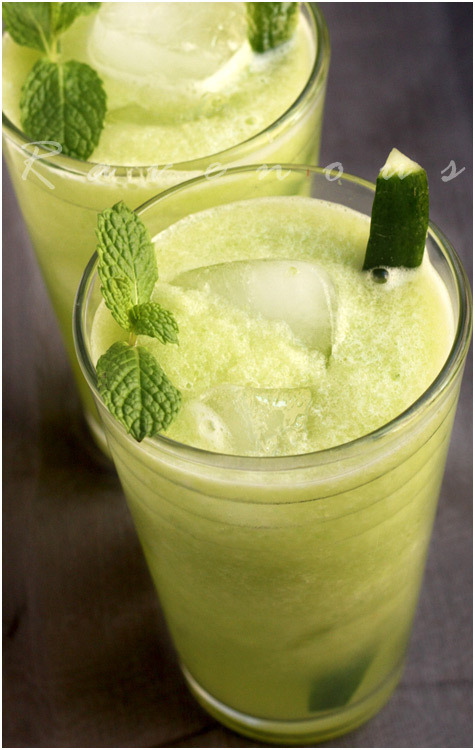 Little Teochew: Cucumber adds a great twist to the lemonade! Great summer drink! Bookmarking it for Summer Down Under. That is a great way to relax! ellie: Definitely great for summer time! 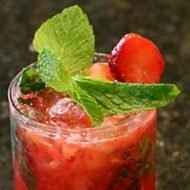 I really like the sounds of this drink–I like a cocktail before dinner that doesn't interfere with the flavors in your meal. Will give this a try! We're having a few warm days here so this would be a perfect drink before the cold weather comes in again! So refreshing! 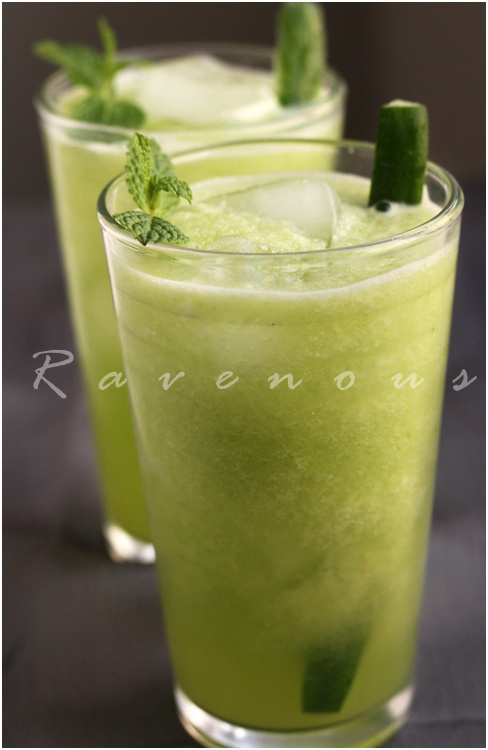 ^_^ I should make some cucumber drink to cool down in Singapore's tropical heat. table talk: let us know how it goes! noobcook: thanks, it sure is! let us know how it goes if you try it!